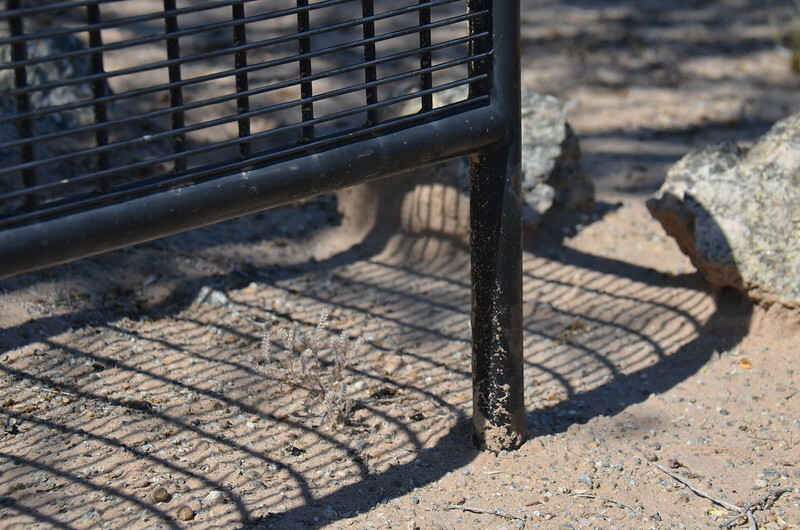 The amorphous desert floor is shapeless - but the steel grid adds a geometric dimension to the Sonoran...nature and geometry combine as art here ) It's good to be back! Impressive, regimental network of shadows. Great observation of the shadow leading through the rocks.